An HVAC system with zoning will allow you to control the temperatures of each zone or area in your Ponte Vedra Beach, Florida, home separately. It can also help you increase the value of your house. You can have dampers installed in your ductwork to direct hot or cold air where it’s needed most, or you can choose a ductless system. 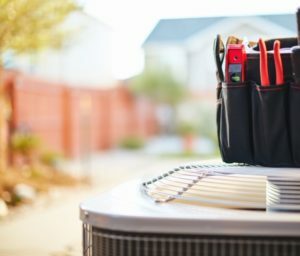 These systems have an outdoor unit that’s connected to two or more indoor air handlers by a small conduit for refrigerant. Both types of zoning systems usually have a programmable thermostat that’s connected to thermometers inside all the zones in your home or business. Here are some of the reasons why you should consider zoned heating and air conditioning for yourself and your family. With zoning, you can avoid heating or cooling unoccupied rooms. Zoning even lets you choose a smaller, less expensive HVAC system when you replace your current unit. With many programmable thermostats, people can set different heating and cooling schedules for every room. Set your thermostat to turn down your HVAC system in zones that aren’t used often, like spare bedrooms, and when you’re asleep or at work. Then, your system can return some of your zones to a more comfortable temperature before you wake up or get back. Some models are often called "smart" or "learning" thermostats because they can learn your family’s routine over time. These devices can connect wirelessly to cameras or motion sensors, and they let you enjoy the energy savings of a programmable thermostat without spending lots of time programming it. Zoning lets all your family members decide on the best temperatures for their bedrooms and for other areas, such as offices. This allows you to avoid annoying arguments about the best settings for your thermostat. Many programmable thermostat models allow you to choose a code or password as well. This requirement keeps unauthorized people like kids, guests, or employees from changing your zoning system’s settings. Zoning lets you pick a comfortable temperature for zones that are in use without worrying about high utility bills in the future. Also, these ductless systems are quieter than most other types of heaters and air conditioners because you’ll never hear air rushing through ductwork. Ductless systems are especially useful for improving your indoor air quality. Separating your home into zones will help you keep contaminants such as dust, pollen, dirt, pet dander, and biological growth from spreading. It can also make contracting illnesses like the flu less likely by slowing the spread of viruses and bacteria. Each indoor air handler has its own air filter to catch pollutants. These filters can help you prevent some bad smells and keep others from spreading. They can also help you avoid allergy or asthma symptoms, eye irritation, nosebleeds, rashes, sore throats, and many other health problems caused by poor indoor air quality. Just remember that for most types of HVAC systems, including ductless units, you should change air filters once per month to keep them working well. You can control many programmable thermostats with zoning from your computer or your smartphone. Other zoning systems have remotes. Some can give you convenient reminders about maintenance, updates about the local weather and the temperature in each room, and other information. They can monitor your indoor air quality and the humidity inside your home. You can even choose a zoning thermostat with a touch screen that lets you choose whatever background color you prefer. Zoning also gives you better flexibility in the future. If you plan to build an addition for your home, you can use a zoned system for the new part of your home. This lets you save energy without stressing your current system. Northeast Florida Heating and Air has more than 30 years of heating and air conditioning experience. We’re a family-owned business, and we specialize in increasing your home’s efficiency. For excellent service from our knowledgeable technicians, call us anytime at 904-201-3413. We can help you with installation, maintenance, or repairs.